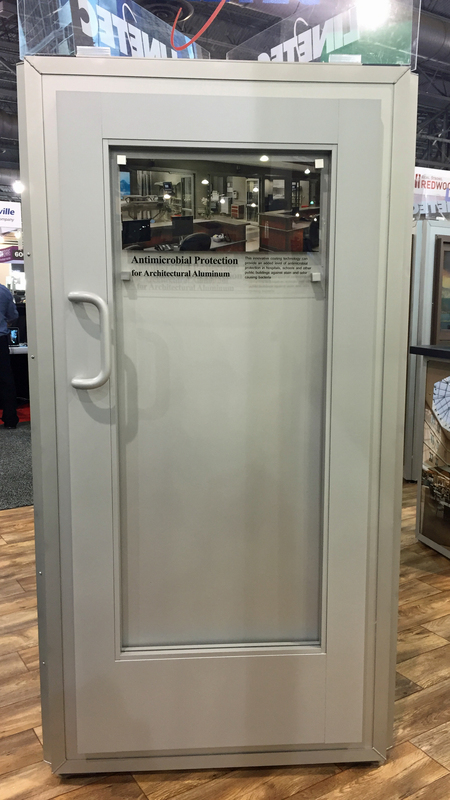 Linetec demonstrates antimicrobial protection for architectural metal products' high-touch surfaces, such as as shown on Tubelite Inc.'s entrance system during the American Institute of Architects (AIA) Convention and Expo in booth #1143. Linetec offers these high-performance coatings in more than 30,000 color choices. The white paper is available free for download at www.linetec.com/PAINT/Antimicrobial-Protection-Whitepaper.pdf. Filed under: AAMA, Events, Linetec, Products, Tubelite Inc.